In Small Things Remembered » Ambassador Angus Ward speaks with Afghan education leaders at the USIS Library. U.S. 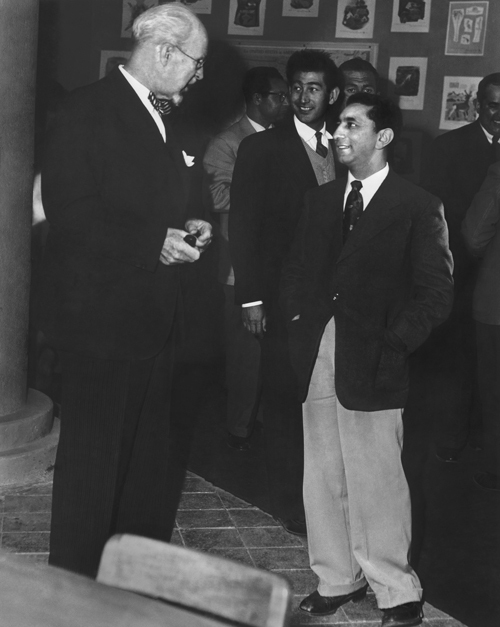 Ambassador Ward speaks with Abdul Majid, Minister of Education (right), and Mir Amanuddin Ansari, President of the Faculty of Literature at Kabul University (center). Both men were graduates of American universities who had returned to their homeland to assume important positions. They represented the ultimate goal of U.S.-Afghanistan educational exchanges: a new generation of Afghan leaders. Courtesy of the National Archives Still Picture Unit. 306-CS-8D-4.